In celebration of the Indian Republic Day, the Fairway Street Food Festival for the month of January took an Indian twist as it showcased a range of Indian Street Food, along with Indian music and dances. The Hospital Street took a vibrant turn on 26 and 27 January, with the colourful dancers and music that kept the guests entertained throughout the night on both days. 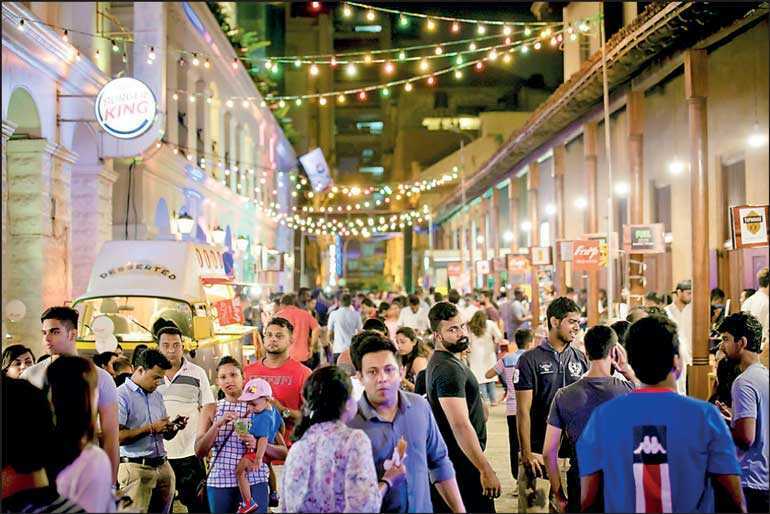 An array of Indian favourites: naans, aalu paratas, chaana masala, shawarmas, biriyanis, kebabs, thosas, and wadeys, were abundantly available through a number of vendors. The colourful event attracted many local and foreign guests, and was a tasteful gathering point for foodies. The second day of the festival was graced by Dr. Shilpak N. Ambule, the Deputy High Commissioner of India and his wife, along with fellow members of the Indian community residing in Sri Lanka. At the event were: Subanu Perera, the Head of Sales & Marketing of the Leisure Sector of Fairway Holdings, Dr. Shilpak N. Ambule, the Deputy High Commissioner of India with his wife and Sepali Athukorala, the Premises Manager of the Fairway Colombo.